As you might have guessed, a lot of school-based learning is achieved visually. 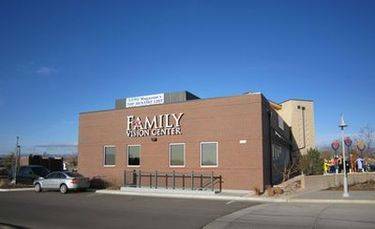 Despite the well-known connection between eyesight and learning, a lot of people underestimate or are simply uninformed about vision problems, and don’t include a visit to the eye doctor as part of their child’s back to school preparations. It’s important to know that because vision in kids changes, regular eye and vision care is central to academic success and overall happiness and wellbeing. School-aged children have a truly impressive ability to carry on, despite having a vision problem. As children go through school, it becomes even more important to keep tabs on their vision. 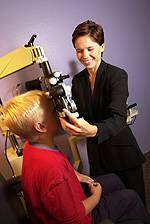 Impaired vision and growing visual demands such as smaller print in textbooks or additional homework can significantly change his/her performance. Recently developed classroom technology, such as interactive whiteboards, can also potentially exacerbate previously hidden vision issues. If a child doesn’t have good enough vision, it isn’t just their school work that suffers. It’s mentally and emotionally taxing too. If your child has already been tested for and fitted with glasses, the start of the school year is a perfect time to see if their current frames are meeting their needs at school. If you want a kid to wear his glasses, he better feel good about them! Find a good time to visit us when you’re gearing up for the new school year. We want to help your child begin the academic year with vision that’s in excellent condition.